This video shows the distinction between the Puritans and Revivalists of the 1600’s, and the “Founding Fathers of the United States of America,” of the late 1700s, who were Deists and worshippers of Reason that actually warred against the truth of the Bible, and didn’t believe it. They had the spirit of Anti-Christ. Be faithful to the pure Word and feed everyone you can, let God determine whose a sheep or a goat. Why worry about the goats when there are sheep everywhere? Why stop watering the wheat because of the tares? I thank God for my country but I absolutely hate the false religion and idolatry of nationalism. Because ultimately anything that you worship – you will never really be able to call it to repentance – whether it be your country, culture, musical stars, or religious leaders. 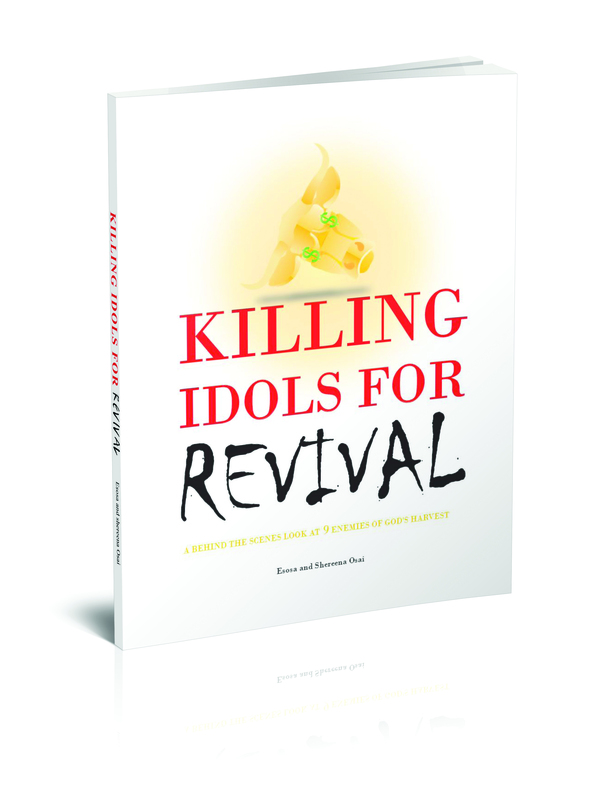 Idolatry holds back revival and restoration. This is a clue to why the American Church has not successfully called itself or this nation to repentance – idolatry. Anytime you feel the need to explain away sin by “balancing it out” with the good that’s been done it shows self-justification, self-righteousness and the spiritual blindness of idolatry. When the natural submits to the spiritual you have a beautiful creation… When the spiritual submits to the natural you have a horrible corruption. Our children are not whores for Babylon. A Generation Saying NO to Hollywood God is Not Selling this Generation to Hollywood. Are the People that Teach 7 Mountains Evil? I think the people that preach this have good intentions, but they are unaware of the error. The main problem is seeing Entertainment, Arts, Media, and Education as authorities. In reality: God set up 4 authorities – Family (Genesis 2), Church (Matthew 28), Government (Romans 13), Business (Proverbs 11). Education, Entertainment, Media, etc… are tools to be used, not “mountains” to take over. For instance, instead of Sherwood Baptist selling their beautiful and talented members and children to hollywood like prostitutes, Sherwood Baptist Church uses media to produce and publish their own Godly movies that impact the world – all within the authority of the church. Homeschooling families use their own authority to educate their children when the “government education” fails. Smart businesses are realizing the need to fund their own training and universities as the education system fails to supply competent workers, etc.. If we don’t get the 7 mountains how will we reach the world? The effective and fruitful way to join with God in preparing the world for the Jesus’s return is: Godly families worshipping God and creating Godly Churches. Godly churches praying and impacting the leadership of their communities by preaching the gospel and winning souls. The communities faith affects the Government. The government creates a safe and fair atmosphere for businesses to prosper with witty inventions and the Spirit of wisdom. These are all seen in scripture and in Church history. So if we are not called to takeover these mountains, how can we be salt and light to the world around us? How can we transform the world politically and culturally? We are called to be holy and lead by example in obedience to God and loving our neighbor as we love ourselves. Abandoning your calling to get influence in the world’s “mountain” is likened in the bible to idolatry, which is spiritual prostitution. The problem with spiritual prostitution is that it actually leads to the destruction of the church, not the advancement of it. Some people use Daniel as an example of being sent to Babylon, but Daniel and his generation being castrated slaves in Babylon was actually a result of the Spiritual prostitution of the people of God. Being carried away into Babylon was a punishment, not a goal!!! But what’s wrong with trying to influence these spheres of influence, can’t this be a way to win many to Christ? The gay agenda has been very successful in entertainment and media and education to forward their ideas. Can’t we do the same thing? The gay agenda is nothing but destruction. They don’t have children so all they can do is force the issue every year. Give me a Godly generation of children and you’ll see a new nation in 40 years. Wherever the gay agenda takes control, the nation gets destroyed. See Rome, Sodom, Canaan… etc. Use your family for your influence. Use your ministry for influence. Don’t be a slave to a wicked media company, just create your own media. Its totally different. We have to minister in the Authority of Christ, not trying to get authority from the World. People that follow the error of trying to get authority from the world are doing this because they have rejected God’s Authority. So what’s the difference between a mountain and a tool when we say mountain what are we speaking of in this context? In this context a mountain symbolizes a God given authority or institution. A tool is just something those institutions can use to accomplish a purpose. For example there is no “education institution” there is Family (Homeschool) Education, Church (Discipleship) Education, Government (Public) Education, and Business (Apprenticeship/Training) Education. Education is a tool for the Mountain… its not a mountain in itself. So if the gays take over government education, then you put your children in homeschool education and business apprenticeship. If the gays take over the nation, God destroys the nation. I’m not concerned about how the gays do things. I’m trying to obey how God does things… and you’ll have more impact and save more souls long term by doing things God’s way. Isn’t this just a semantic argument? Who cares whether its 7 mountains or 4 mountains? Everybody’s just trying to influence the world for Christ. I wish it was that simple, but it is much bigger problem. It’s a big problem when you have a generation of young men who won’t start/serve in churches or music ministries, but cannot wait to get signed to a record label. It’s a big problem when modern-day Judases are called heroes because they are considered “reaching out” to another mountain of idolatrous false worship. It’s a big problem when mothers find no satisfaction or vision in raising a family, but they can’t wait to get out and take on a mountain for Christ. It’s a big problem when every talented child in the church is told that one day they will be famous entertainment whores, and then maybe come back to bless the church one day. Its a problem when the church is known for great Christian entertainment and media, but failed families. This problem will be seen very clearly in time. When you preach with the wrong priorities, you will get the wrong results. Why don’t we just call this being salt and Light as opposed to taking mountains? I agree. Being salt and light is something that Jesus taught, and it gives the connotation of our obedience impacting the world, and occupying till He comes. Leaving one mountain to go and take over another “mountain” that I called myself to is a totally different connotation. You are called to build a family. You can fund it by building the church, building a government, or building a business with a tangible product. You can use education, media, and arts/entertainment as TOOLS to build your true professional calling. If you’re trying to “blow up” on the mountains of media and entertainment… I can guarantee you that it’s Satan leading you. Wisdom treasures Humility over Pride. Don’t try to blow up, serve low and grow up. What’s the Solution to the Gay Agenda? Are we all up in arms and alarmed about the latest homosexual advance in culture? Is it because we don’t believe in the power of God’s Word? Do you want to know the solution to the gay agenda? Love God by honoring what He gave you “Your parents”: Honor your father and mother, for this is the first commandment with promises. (You will live long and inherit the land, when you honor and imitate the goodness of your father and mother). Love your Neighbor by not desiring anything that God gave them. If you don’t have a desire for someone else’s blessing, no agenda can touch you. You just grow over time and inherit what God has given you. I don’t worry about an agenda because I know the power in the principles of God’s commandments. No aggressive agenda can stop the power of God’s commandments of love. All the commandments are based in love. The 5/10 commandment is actually the same principle, 5 towards God, 10 towards others. So in other words, we can either save the gays with the gospel, or we can build families that will inherit and rebuild a nation that was destroyed like Sodom and Gomorrah, or Rome. Either way, love is going to do it. Worrying about gay advancements in media and entertainment isn’t going to do anything. Building our families and churches on love is what will work as a long term solution. If you’re trying to “blow up” I can guarantee you that it’s Satan leading you. You’re his easiest victim. Don’t try to blow up, serve low and grow up. Humility over Pride.